Officers Placed on Leave After New Haven Shooting, State Police Investigate: Update on the New Haven shooting of April 16 This update provides further information on the shooting incident that took place yesterday in New Haven. The original notification about this matter sent to the Yale community last night can be found here. Connecticut gas prices continued to decline this week, according to AAA Northeast. Today, a gallon of self-serve, regular gas in Connecticut averages $2.55, 3 cents lower than this time last week. Compared to last year, prices are 12 cents lower. On the national level, a gallon averages $2.25, 1 cent higher than last week – the first increase since October. Compared to last year, prices are 28 cents lower. 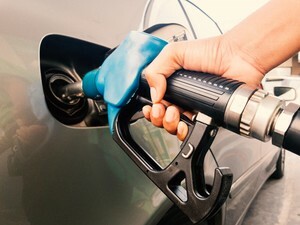 “The price of crude oil has been slowly increasing this year, but unlike some parts of the country, the impact has yet to be felt locally by motorists at the pump,” said Adelle Zocher, Outreach Specialist for AAA Northeast. Today, Missouri and Arkansas both register the lowest average per-gallon prices in the nation at $1.89 and $1.90, respectively. California and Hawaii continue to lead the pack with the highest prices at $3.28 and 3.26, respectively. Connecticut holds the 9th spot on the list of states with the highest prices in the nation.